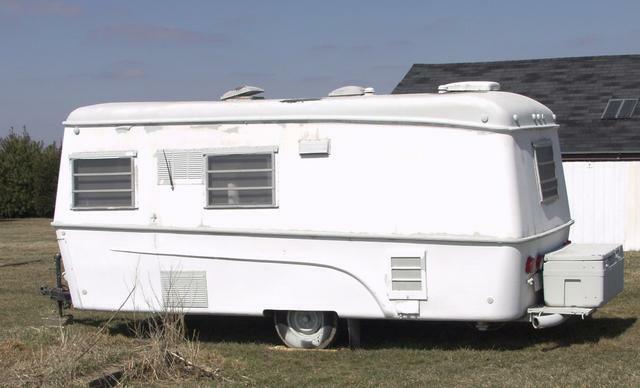 The trailer pictured is actually an Aalite trailer that was maunfactured in Benton Harbor, Michigan in the late 1960s. Look for mine (Bill Root's 68 Aalite) on this website. Just an FYI - Enjoy!